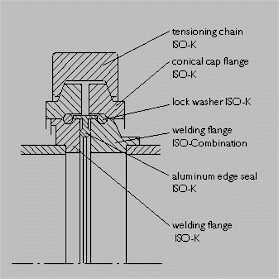 The advantages of the tensioning chains are applicable for clamped flange connections as well. 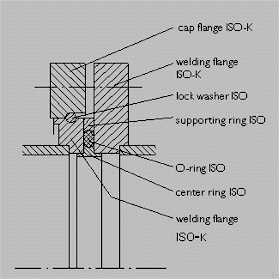 In this case conical cap flanges have to be employed. Elastomer and metal seals can be used. Available for DN 63 to 250.